Before rock’n’rollers began taking heroic doses and delving into the psychedelic realm, experimental music was almost exclusively the foray of classically minded musicians taking an interest in the extreme outskirts of synthesizers. While many of the originators’ works today would fall under well-loved categories of drone and minimalist synthesizer music, the spirit of the 1950’s through 70’s lives on in many artists veering into exceedingly uneasy and unstable sounds. One act carrying this torch through the most subterranean, eerie corridors is Territoire. Drawing on many fringe musical genres for inspiration, this ensemble drives tensions between electronic processes, experimental instrumentation and narrative fragments. 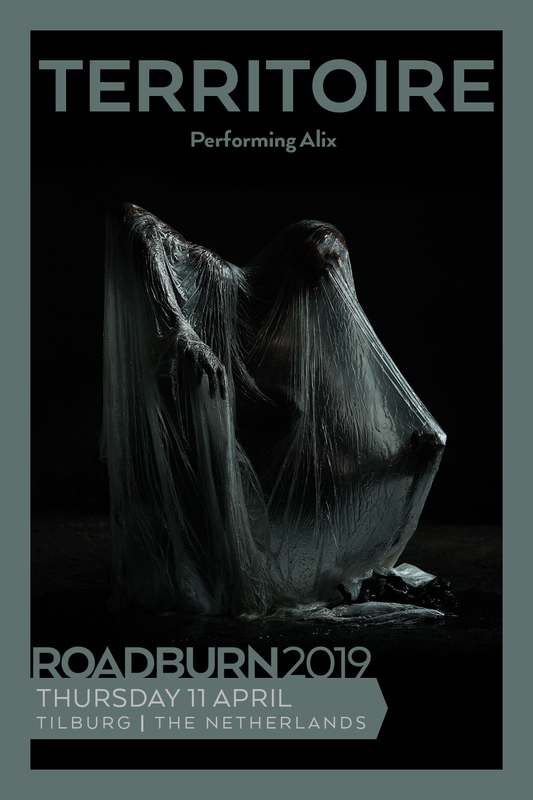 As Roadburn continues to celebrate art that transcends perceived boundaries, we’re honoured to welcome Territoire to join us as part of the Roadburn 2019 lineup, performing this year’s haunting album, Alix, in full. The thrill and honour are mutual, and we hope you’ll join us as we embark on a journey through broken horizons in search of cathartic light with this daring group as they play as part of Roadburn 2019 on Thursday, April 11.